The queen of all things green and ethical, the Woodland Wife has listed our Birthstone Initial Necklace under her favourite things and ‘get the look’ feature in the Little London Magazine. 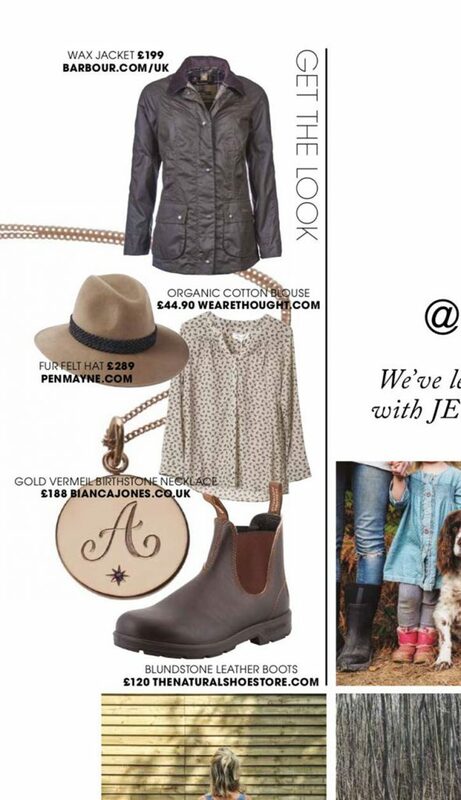 We love that the Woodland Wife and the Little London Magazine is just as big a fan of our Birthstone Initial Necklace as we are, with our Gold Vermeil Birthstone Initial Necklace featuring in the Woodland Wife’s inspiration page. This piece has been inspired by traditional Victorian love tokens, with a hand engraved scrolled initial of your choice together with a brilliant-cut sparkly gemstone in a Victoriana star style setting. With each precious gemstone carrying its meaning, myth, legend and story behind its symbolism choose a gemstone that is associated with significant values to inspire the recipient of your personalised necklace gift. Have a read of our other blog posts, which detail each birthstone for each month so you can get it just right and create the perfect personalised jewellery. 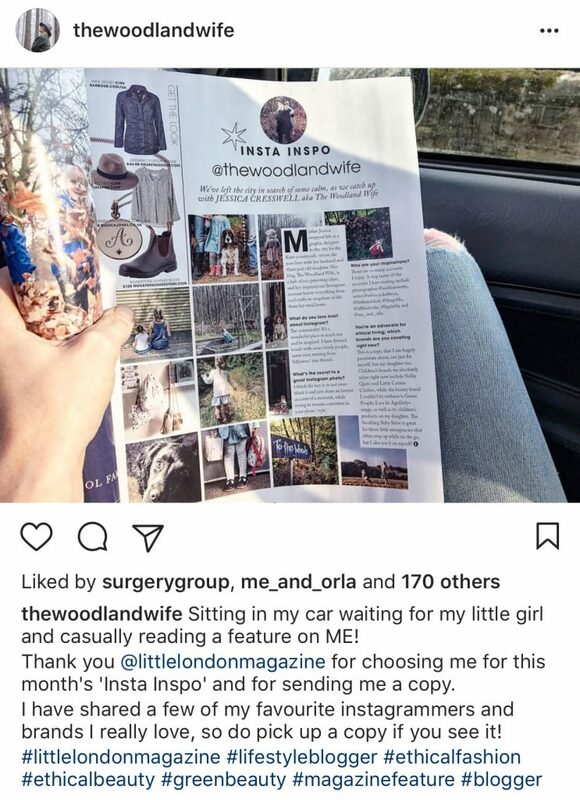 We are super chuffed to see that both the Woodland Wife and the Little London Magazine has noted our brand and how we make environmentally conscious decisions with our jewellery making to help contribute to the ethical fashion movement. Here at Bianca Jones Jewellery, we make an effort to make ‘green’ choices in everything we do. Our pieces are handmade, with recycled packaging and made here in London. We get all of our materials within walking distance from our studio in London, close to the jewellery district of Hatton Garden. We work hard towards creating as little waste as possible and making sure that everything is locally sourced, every little helps to celebrate green beauty. Our Birthstone Initial Necklace is the ideal gift for the lover of all things monogrammed. It’s an excellent choice if you want to go the extra mile to give a gift of meaning and thoughtfulness while also being an extra special bonus for those environmentally conscious. Being a piece of jewellery from a brand that is big on all things green. Choose an initial and birthstone that bears great importance to the recipient and create a personalised necklace that will become a treasured piece that can be worn all day every day, forever and ever. Available in precious metals, sterling silver, and yellow gold vermeil, you are spoilt for choice. Create love mementoes that can be kept close to the heart with our Birthstone Initial Necklace.